Food and wine lovers across America are asked to uncork their creativity and submit an original recipe and wine pairing combination for a chance to win a Trip for Two to Spain! The company is searching the nation for recipes that bring out the very best in their organic wines. Tarantas is searching the nation for recipes that bring out the very best in their organic wines. 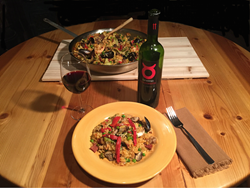 Tarantas Wines announced today the launch of the Tarantas Taste of Spain Recipe Contest. The company is excited to launch this national contest as a way to introduce American wine lovers to the concept of Tarantas Tiene Cuerpo y Alma ~ Wine with Body and Soul from the Heart of Spain. All entrants are required to include a Tarantas wine pairing recommendation for their dish and the use of a Tarantas wine as an ingredient is required in the Wine-Based Craft Cocktail category. Entry form includes a list of the eligible Tarantas wines. Each entry must include a photograph submission of the prepared recipe with the selected wine. Tarantas wines are available at Whole Foods Market nationwide and online at http://www.ecovinewine.com or http://www.organicwineexchange.com. Additional details about the wines can be found at http://www.tarantaswines.com/wines. Recipe instructions and ingredients along with the photo should be submitted to http://www.tarantaswines.com/recipes no later than 11:59 p.m. on April 15, 2016. Creative cooks can find the complete contest rules on the website. Must be a U.S. citizen over 21 years of age to enter. All accepted entries will be posted on the Tarantas Wines website and select recipes will be featured across the company’s social media channels. One Grand Prize winner receives a five-day, four-night trip for two to Spain, including air transportation from the U.S., 2 nights, double-occupancy room accommodations for two in the charming village of Requena, Spain, a private tour of the winery with lunch, two nights, double-occupancy room accommodations for two in Valencia, Spain, a gastro and historical tour of Valencia, and all ground transportation and transfers. Four First Prize winners receive a $100 gift certificate from Whole Foods Market. All recipes will be posted on the Tarantaswine.com website for public viewing. Viewers can vote one time for their favorite recipe in each category. The top five recipes receiving the most votes will automatically move on to the next level of judging along with five other entries selected by a panel of five culinary professional judges. The top ten recipes in each category will be judged by the panel of judges and assigned points based on the following criteria and point system: Creativity (1-50 points); Flavor profile (1-25 points); Appropriateness of wine pairing (1-25 points). 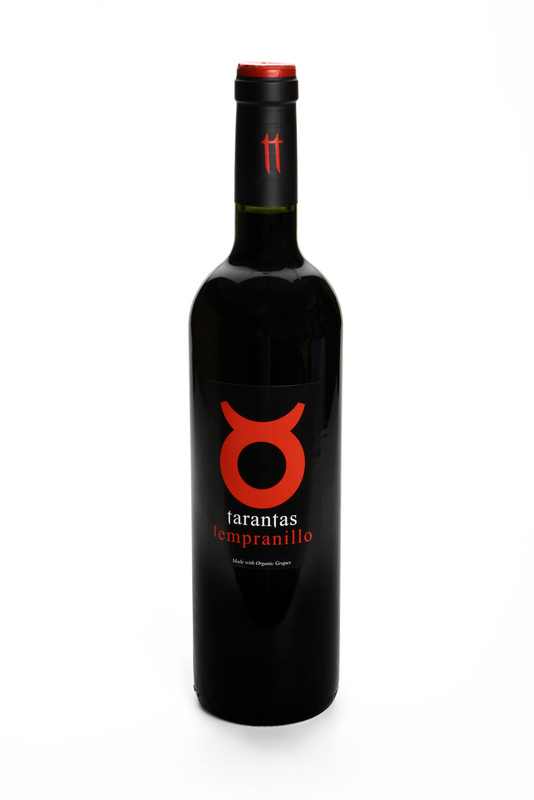 The Tarantas brand name and label was inspired by the free-flowing, open art form of Flamenco song and dance of the same name, celebrated in Southeast Spain. “Pure wines capturing the essence of Spain in every glass,” Tarantas Wines are made with 100% certified organic grapes. The wines are produced by Bodegas Iranzo, based in the old-world village of Requena, Spain, only a stone’s throw from the historic and metropolitan city of Valencia. The winery produces some of Spain’s oldest estate bottled wines, with the first recorded written evidence of the vineyard Cañada Honda Estate owned by the Iranzo Perez–Duque family dating back to 1335 as granted by King Pedro I of Castilla. Complete contest rules and information can be found at http://www.tarantaswines.com/recipes.